After rehab is finished … am I going to get a big bill? In other words, what does drug rehab cost? Or more specifically, what is my cost, going to be? After looking for a treatment center for my son, who was suffering from drug addiction, I was presented with enticing ads. Some of the common lines read “up to 100% coverage”, “immediate placement” and “we will arrange for travel”. This all sounded too good to be true. I was really frantic because my son said he was “willing” to get help for his addiction problem. I knew from experience that this might not be the case next week (or maybe even in two days). I quickly registered him into a center without doing much homework. I got lucky and worked with an amazing group of people. The bottom line (for me) is that I had no “out of pocket costs”. 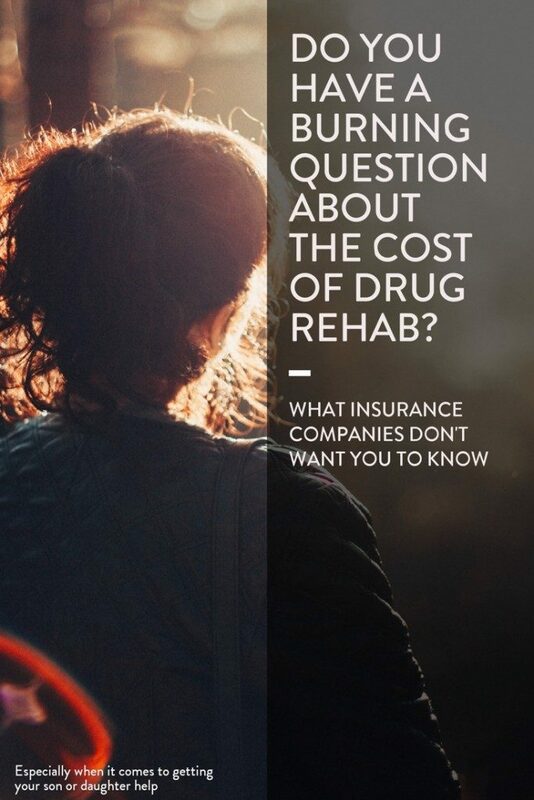 What does rehab cost? The cash price of rehab can range from $15,000 to $35,000 per month. This isn’t always the case. 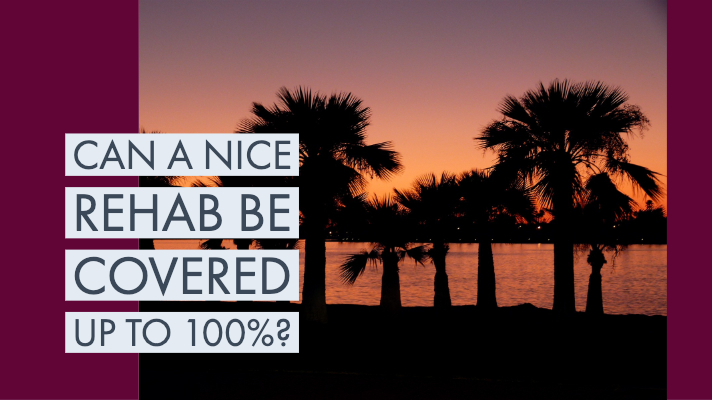 So, when a rehab states that “up to 100% may be covered by your insurance”. is this true or false? Read on to find out the truth behind insurance billing in the treatment industry. This is the insider information, that no one will tell you about. After years of substance abuse, when you or your loved one is ready to go to treatment, it’s a huge relief. You see an ad for a substance abuse treatment center and it says “Up to 100% of the cost of substance abuse treatment may be covered by your insurance”. You are so relieved. In most cases in order for 100% of treatment to be paid for by your insurance carrier you need to have already paid your entire deductible (and your coinsurance) out of pocket max for the year. In the case of a person seeking substance abuse treatment for the second time in the same calendar year most likely those have all been met. However for the person seeking treatment for the first time, in a calendar year, most likely they are going to get a much different response. For those of you who are going into treatment for the first time this year, I will explain how you calculate what your cost will be for inpatient substance abuse treatment. I will also explain what portion insurance will pay. Since this is your first time to a treatment center this calendar year, most likely you will need a scholarship or financial assistance to have “up to 100% of the cost of treatment be covered by insurance”. There are three major items that make up the majority of what treatment is going to cost. Most everyone knows what their insurance deductible is and understands how they work. The deductible is usually in decent size print on your insurance policy, insurance card and or summary of benefits. Deductibles typically range between $1,000 and $7,500 on most employer-based insurance plans. The unmet deductible is the dollar amount still owed against your deductible. For this example let’s say you have a $2,500 deductible and prior to seeking treatment you had $500 in a medical test that you paid for. Therefore your unmet deductible is $2,000. This $2,000 number is the first of three important numbers in calculating how much money you may need to pay for drug or alcohol treatment. When it comes to inpatient substance abuse treatment your deductible may be only a small portion of your cost for treatment. Coinsurance is the next factor to consider when figuring out how much treatment will cost. I am not talking about the $10-$50 copays you are used to paying for prescriptions and or doctor office visits. Coinsurance generally kicks in on serious situations like surgery and hospitalization. In this case, it kicks in when you need inpatient substance abuse treatment. No one wants to get a bill in the mail after drug treatment is over. A typical insurance policy (after the deductible is paid) pays between 60% – 90% of the inpatient treatment and or hospitalization cost. The remaining 10% – 40% of the inpatient treatment and/or hospitalization cost is called coinsurance. You are responsible to pay for that coinsurance percentage (usually 10%-40%). So if the cost of treatment is $100,000 and your policy requires you to pay 10% -40% coinsurance you may get a $10,000 -$40,000 bill for treatment. For purposes of this example let’s use $15,000 as the out of pocket maximum or “OOP max” as insurers call it. Please don’t panic there is some potentially good news coming. I just needed to highlight this coinsurance number as it is an important figure in calculating your cost of the treatment. The good news is there is a thing called “out-of-pocket maximum” which typically range from $5,000 to $25,000 on employer-provided insurance plans. This dollar amount is the most you are responsible to pay for on all covered services in any plan year. For purposes of this example let’s use $15,000 as the out of pocket maximum or “OOP max” as insurers call it. Before we tally up the cost of the treatment (based on what I just explained) I have one more caveat. Some insurance policies include the deductible in the OOP Max and others don’t. In the above example, you would be responsible for either $15,000 or $17,000 for the cost of treatment depending on whether or not your policy considers the deductible as part of the out of pocket max or not. In summary, the key components in calculating the costs of treatment are how much is your unmet deductible and how much is your out of pocket maximum. Does deductible apply to an out of pocket maximum? I know this sounds complicated but with the help of a treatment placement specialist, they can walk you through this process quickly and professionally as well as verify your insurance benefits to find out your exact cost. Don’t give up if the amount needed is overwhelming and or appears to be an amount you cannot afford this is where things like scholarships and financial assistance that can help pay for the costs of treatment. Call us any time of day with your questions. Do you have a question about the cost of rehab or something else? 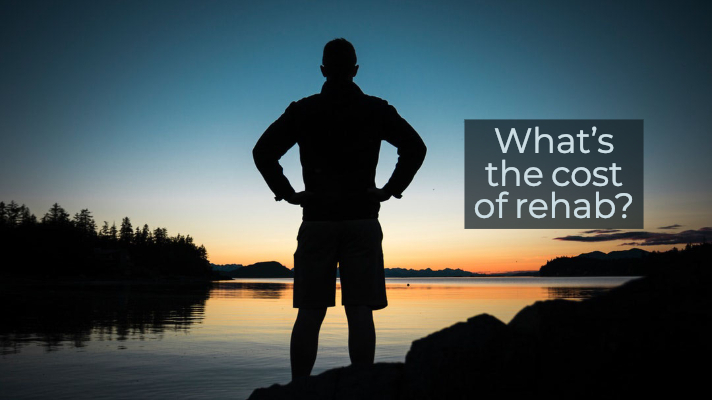 Rehab Success Rates: Does Rehab Really Work?